You’ve seen the headlines. In fact, it seems like everyday we are exposed to articles about how plastic pollution is affecting our environment and water supplies—microplastics in particular. Recently, Canada and the United States took action to remove microplastics from cosmetic products and scrubs. But what exactly are microplastics? What are they doing to our water? And why should you be worried? 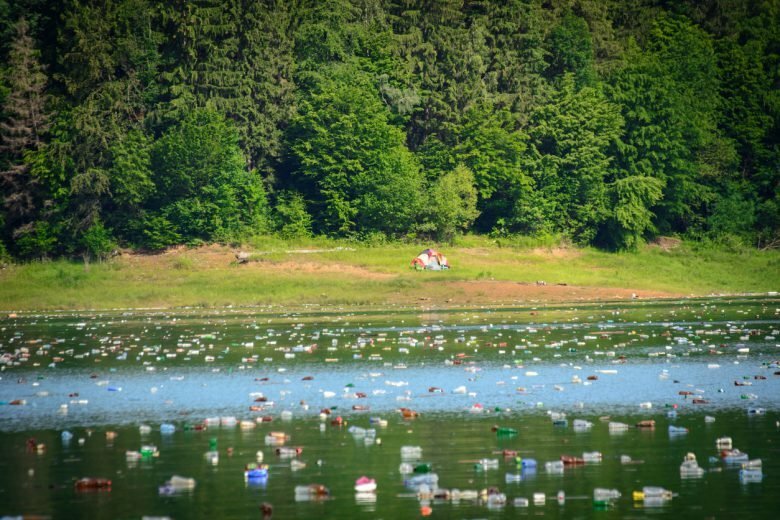 We sat down with our research fellow Dr. Michael Rennie, who has recently worked on the impact of microplastics on fresh water, and he gave us the lowdown on them. Basically, microplastics are small particles of plastic that are smaller than 5 mm. Microplastics come from a variety of sources. While much hype has been made about the presence of microplastics in facial scrubs and cosmetic products (take a look at your scrubs or toothpaste at home—if they list polyethylene in the ingredients, those are microplastics), these sources actually make up a relatively small quantity in most regions. It is estimated that up to 75 per cent of the microplastics found in the ocean are from the breakdown of larger material (bottles, plastic bags, fishing gear, etc.). For anyone who has participated in a riverbank cleanup this spring, this should not be terribly surprising. More recently, another major culprit of microplastic fibers is turning out to be synthetic clothing (like your favourite cozy solar fleece that you might be wearing right now). While wastewater treatment plants can effectively remove a large quantity of microplastics moving through them (up to 98 per cent), a 2016 study determined that the average wastewater treatment plant was still releasing 4 million particles per day (and as many as 65 million) despite these high removal rates. Another recent study also demonstrated that microplastic particles are airborne and settle in large quantities in urban settings. How much of this stuff is out there? 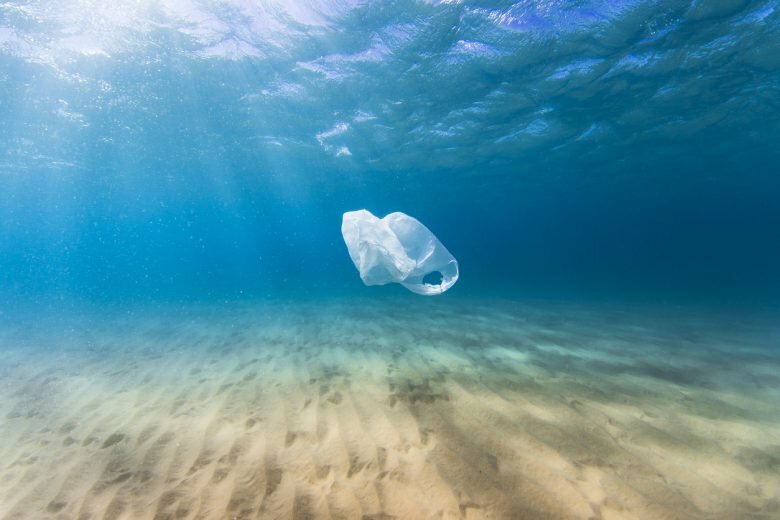 In 2014, it was estimated that the ocean had approximately 270,000 tonnes of plastic floating on the surface, and we don’t really know how much has settled out. However, somewhere between 5 million and 13 million tonnes is added annually from coastal cities—a shocking number. In a recent study on Lake Winnipeg, researchers at Lakehead University, the University of Manitoba and IISD Experimental Lakes Area found densities of around 1 microplastic particle for every square metre of water, which was comparable to how much was found previously in Lake Erie. For starters, plastic is a manufactured product—it does not occur naturally, so anywhere we find it in nature is directly because of us. In the case of microplastics, there are few applications where one can say it was intentionally added to ecosystems, so this represents the waste product of our current lifestyle, which is heavily reliant on plastic products. Secondly, there is evidence that these particles can act as vectors of contaminants and carry these harmful substances from the water column and into the organisms that consume them, such as fish. There is also increasing evidence that fish do ingest these microplastics. While this contaminant transfer has been demonstrated in the lab, there is still a lot of work to be done to figure out what the effects are on fish in the wild, as they are exposed to the levels of plastics that we observe currently. We have seen some good moves in the right direction, but there is still a long way to go. Many governments have legislation in place to ban microplastics from personal care products in the very near future, but, as we have learned, this only addresses a small part of the problem. Outdoor clothing manufacturers have been proactive, and are actually funding research into the rates of shedding of their clothing and evaluating new manufacturing methods that can reduce these losses. Most of all, people can have a positive impact on plastic pollution through their lifestyle choices. You should avoid purchasing products with excess packaging; choose glass or metal drink containers over plastic; avoid disposable plastic bags and bring reusable bags with you; choose wool over synthetic garments. And to help with the plastic that you don’t purchase, why not sign up to participate in a shoreline cleanup near you?